It's all go at this time of year for us at Wader Quest and also for the waders of course that find themselves in the midst of their strenuous migration. Starting with the August British Bird Fair, through the Falsterbo Bird Show, Shorebirds Day, Spurn Migration Festival, the International Wader Study Group Conference and Plover Appreciation Day with the SOC Conference in Pitlochry coming up this weekend and then the Wirral Wader Festival on the 1st and 2nd of October still to come, not to mention Wader Conservation World Watch in November it feels like there is time to draw breath before the next event comes along for wader lovers. Some of these Wader Quest events we haven't been able to partake in this year for various reasons, the Wader Quest stand at the Spurn 'migfest' was manned by volunteer and Trustee Andrew Whitelee with the help of fellow Trustee Oliver Simms and Andrew is also representing us, with Penny Insole, in Scotland. So our next big event is the Wirral Wader Festival which promises to be bigger and better than last year and, as far as the weather is concerned, it could hardly be worse than last time with storms Abigail an Barney gatecrashing the event, so we are expecting to have a much improved weekend all round. The venue is the same at Thurstaston Country Park visitor centre, but this year we will have more space for people to walk around and see everything that is on display. As last year there will be a static display from the Liverpool Museum of mounted wader specimens and the very popular 'creatures in the mud' exhibit which will give you an insight into what waders feed on when they are poking about in the ooze. The 'creatures in the mud' exhibit will fascinate you. We are fortunate to have Ruth Miller and Alan Davies attending again this year and they hope to lead a low tide wader walk from Thurstaston and of course will be giving a talk. 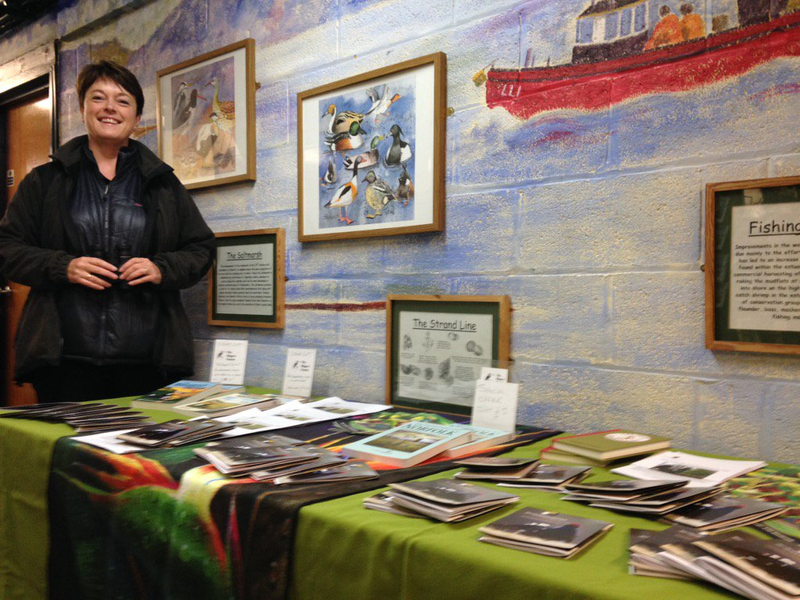 There will be second hand book for sale again and there will be stands housing the conservation bodies such as the RSPB, Cheshire Wildlife Trust, Dee Estuary Volunteer Wardens, BTO and of course Wader Quest. Plenty of second hand books for sale. For the children there will be a painting competition again this year and the nearby Shore Cottage Studio, a family-run art centre located at the foot of Thurstaston cliffs, is also offering drop-in sessions that give families the chance to get creative. Some of last year's winning entires. 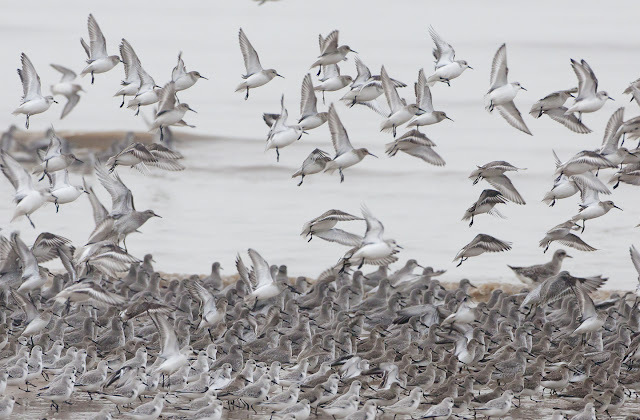 There will be high tide watches to marvel at the Red Knot and Dunlin roosts on Hoylake beach and at Cheshire Wildlife Trust's Red Rocks nature reserve. At West Kirby there will be live footage beamed direct from Little Eye, showing off the Eurasian Oystercatchers and Eurasian Curlews up close. Cheshire Wildlife Trust will be holding guided walks around the Red Rocks SSSI nature reserve and Wirral Rangers will be guiding a walk to Hilbre Island. There will be a static display at Leasowe lighthouse where tours of the fascinating historic building can be arranged. So, for a fun packed day, come along tot he Wirral Wader Festival, learn more about waders and their conservation and be inspired by them.